When and where Roger Snipes was born? Snipes was born in the North Middlesex Hospital, Edmonton and grew up in Tottenham city of London. He was a sport athlete in his young age, where he competed in many track events at different stadiums around London and was a part of an athletic group called the Young Socialists. Snipes won his debut competition the Mister UK in July 2010. He has competed male pageant the Mr. Britannia in 2010 and stood first place and won the Fame UK in 2011. Snipes won the Musclemania, Qualifier 1st place under 85 kg Body Building. He completed the Musclemania British Championship final, First place and Overall Winner gaining a Pro card. After Musclemania stage winning the heavy weight class in a qualifier, he obtained sponsorship by PhD Nutrition, a leading supplement and nutrition brand in UK. He had seen a huge influx of fitness competitors joining a federation called World Beauty Fitness & Fashion (WBFF). 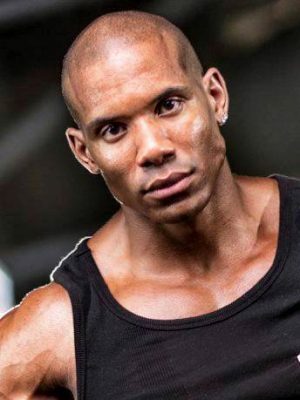 Snipes helped with Musclemania European and Commonwealth championship by answering some Q&A’s and constructing a choreographed routine with a fellow athlete in 2012 . In November 2013, he competed as a Muscle Model and took first place in WBFF European Championship and also won his pro card. Snipes stood in second place in the 2015 WBFF World Championship. How tall and how much weigh Roger Snipes?